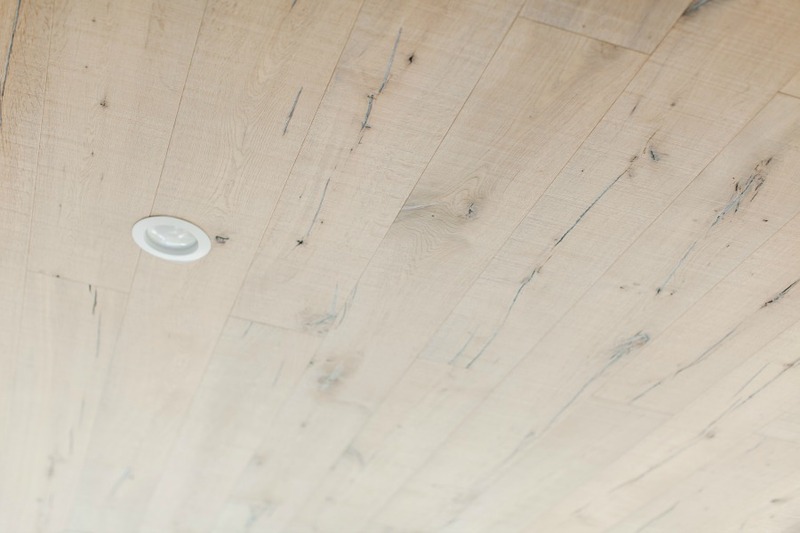 Saltbox Exterior.Photo: Retreat by Oakstone. Saltbox Designer Cottage Design: Jeffrey Dungan. 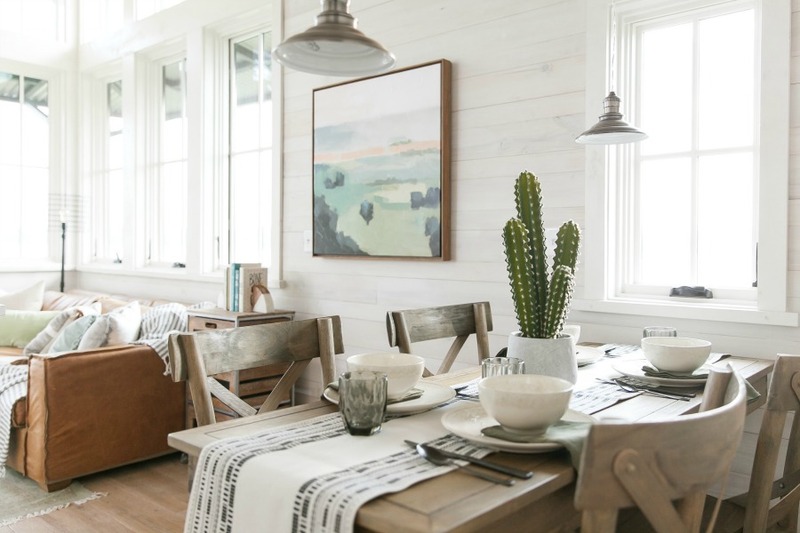 Tiny Home Inspiration from a decidedly sophisticated New England Style traditional 452 square foot home. Come Tour a Charming Saltbox Style Tiny House! Photos courtesy of Retreat By Oakstone. Architecture & Design: Jeffrey Dungan. Beautiful lakeside lcoale! Photo: Retreat by Oakstone. Saltbox Designer Cottage Design: Jeffrey Dungan. Designed by renowned architect and Hello Lovely favorite, Jeffrey Dungan, this Designer Cottage is 452 square feet of elegant simplicity. We toured Dungan’s Low Country tiny house in another story HERE. 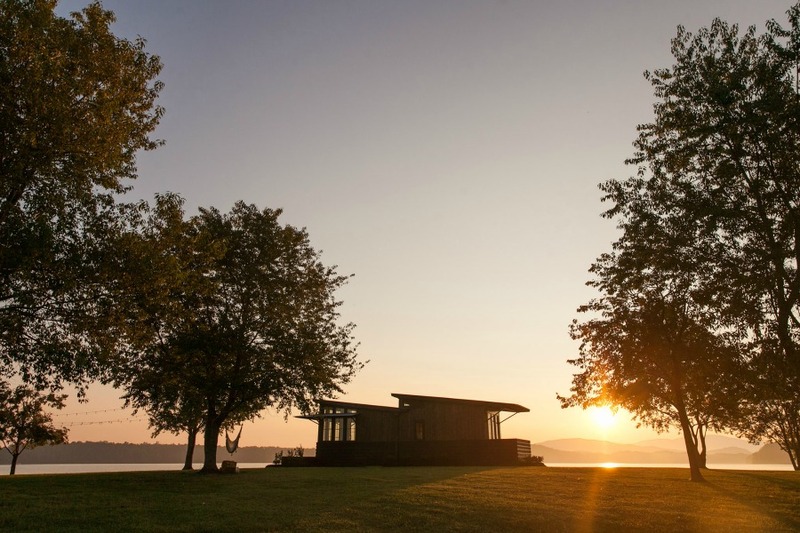 Saltbox tiny home at sunset. Photo: Retreat by Oakstone. Saltbox Designer Cottage Design: Jeffrey Dungan. Tiny Home Inspiration from a decidedly sophisticated New England Style traditional 452 square foot home. 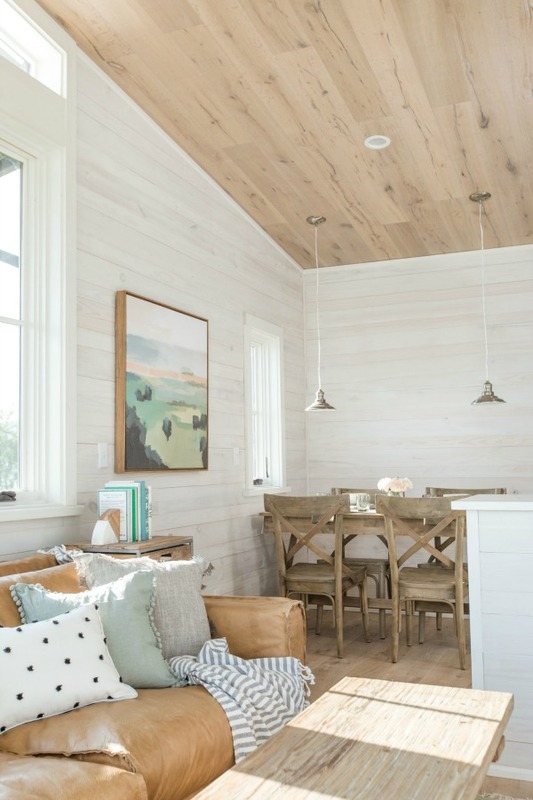 Come Tour a Charming Saltbox Style Tiny House! Beautiful saltbox exterior. Photo: Retreat by Oakstone. Saltbox Designer Cottage Design: Jeffrey Dungan. Photo: Retreat by Oakstone. Saltbox Designer Cottage Design: Jeffrey Dungan. 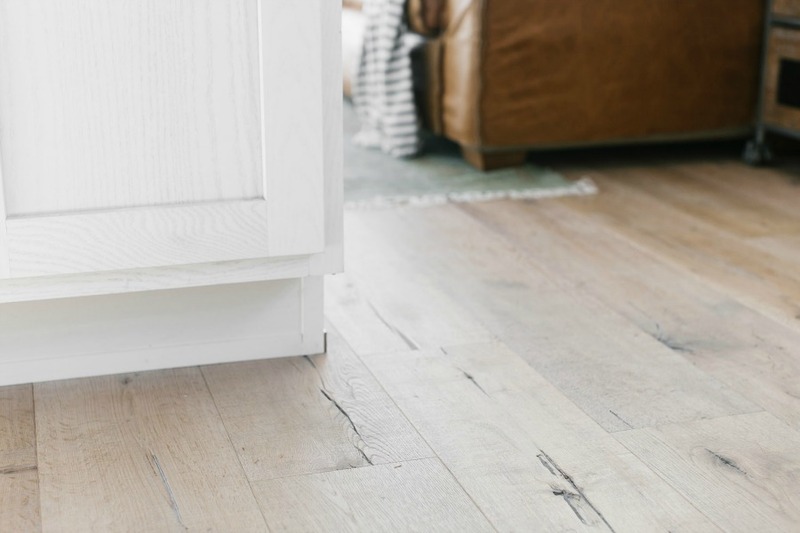 Tiny Home Inspiration from a decidedly sophisticated New England Style traditional 452 square foot home. 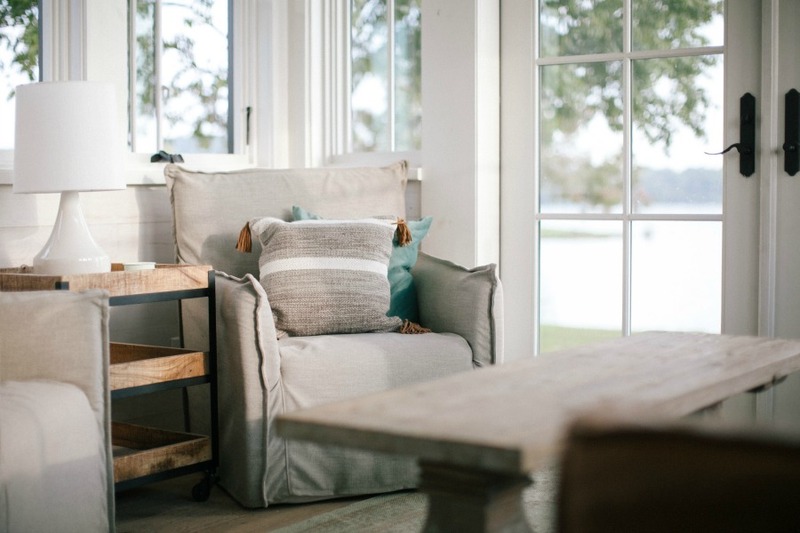 Come Tour a Charming Saltbox Style Tiny House! Detail of saltbox exterior. Photo: Retreat by Oakstone. Saltbox Designer Cottage Design: Jeffrey Dungan. 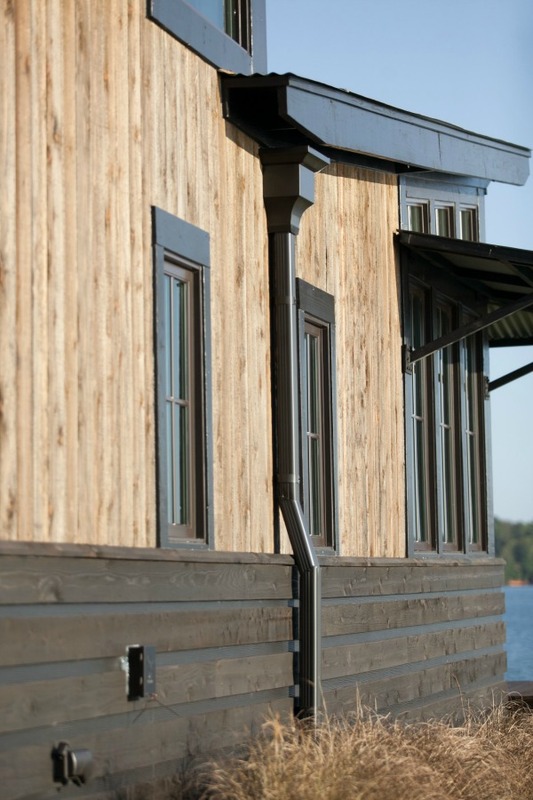 Dungan’s wee classic saltbox “lean-to” design maximizes space and beauty and is uncompromising in its quality–something rather remarkable when it comes to tiny home design. 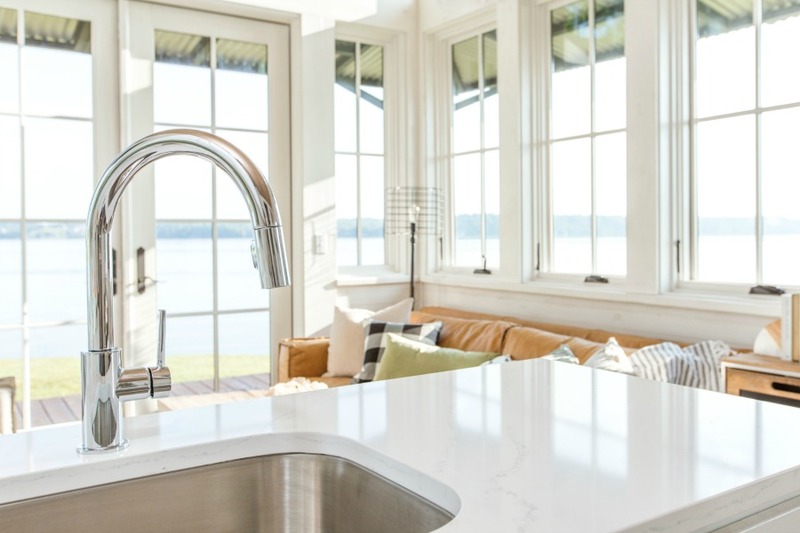 Thoughtful architectural design elements and high-end finishes (such as Summit Appliances® and Ply Gem® aluminum clad wood windows) make this custom teeny dream a true coup for folks who appreciate high quality. But can a saltbox be sophisticated? Can tiny pack big style? Let’s go inside and see. Tiny home with saltbox style. Photo: Retreat by Oakstone. Saltbox Designer Cottage Design: Jeffrey Dungan. Light and bright living room in tiny house. Photo: Retreat by Oakstone. Saltbox Designer Cottage Design: Jeffrey Dungan. 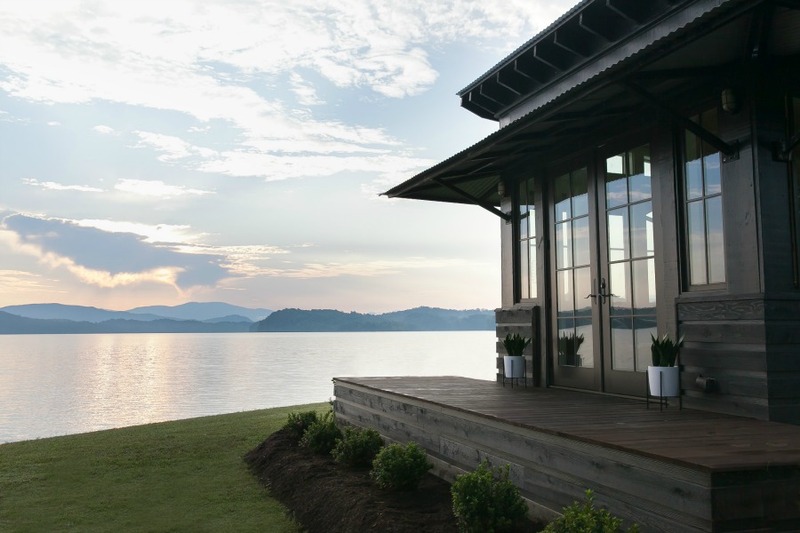 House Tour: A Tiny House in Tennessee by Jeffrey Dungan…certainly lovely indeed! 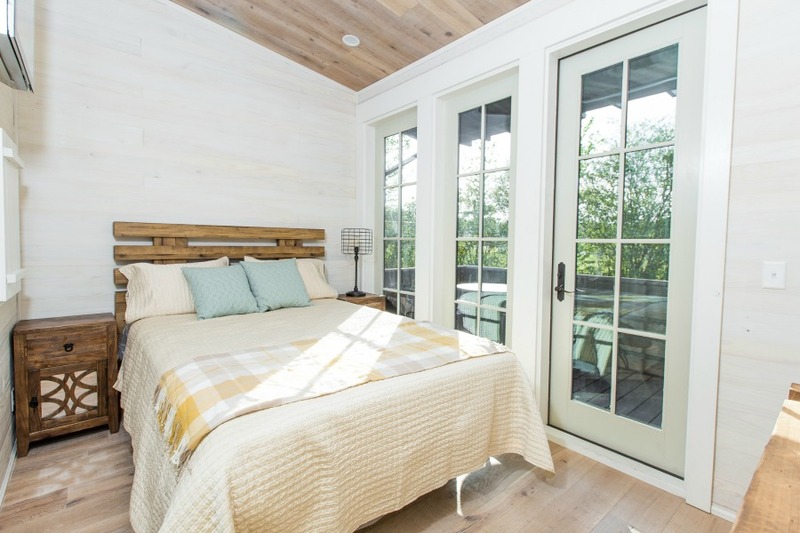 Breathtaking luxury as well as simple charm in a Saltbox style home designed for high style tiny house living. 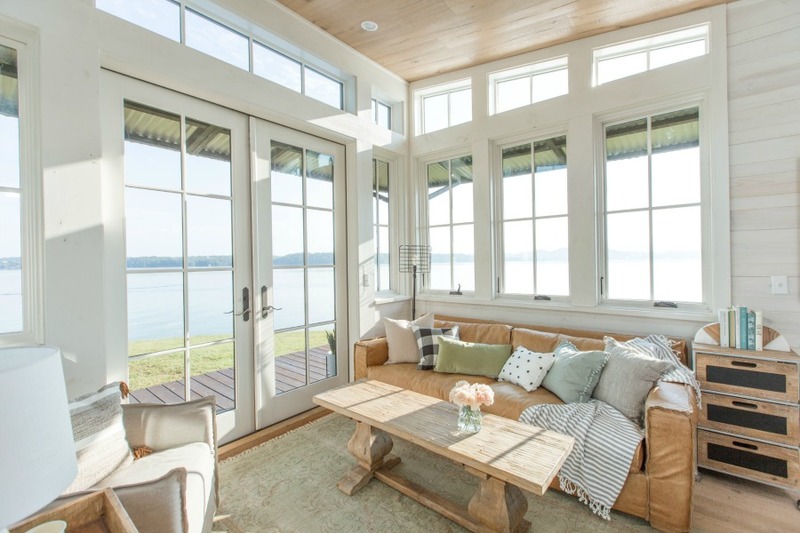 French doors in the saltbox designer cottage living area. Photo: Retreat by Oakstone. Saltbox Designer Cottage Design: Jeffrey Dungan. 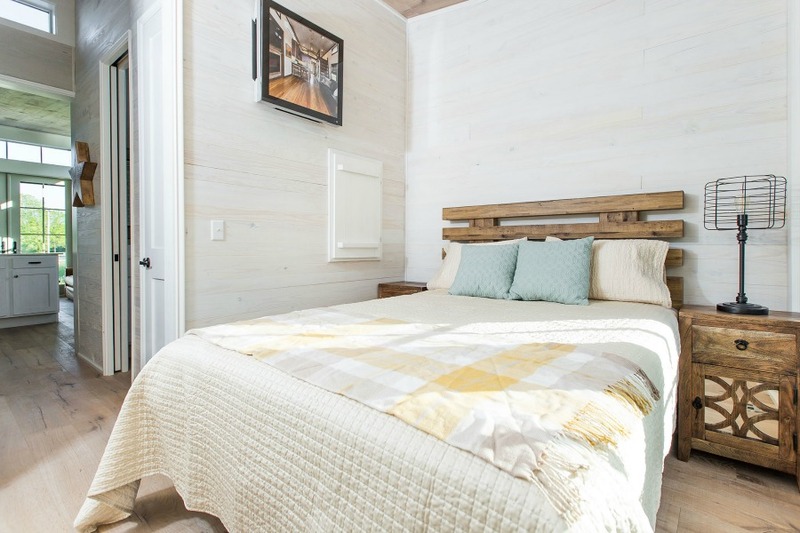 This tiny home’s construction begins with high quality materials including premium cedar shake shingles, poplar bark siding, horizontal board and batten, tongue and groove hardwood flooring, tongue and groove pine ceiling, and quartz countertops. Who can believe it’s a tiny house!?! Photo: Retreat by Oakstone. Saltbox Designer Cottage Design: Jeffrey Dungan. 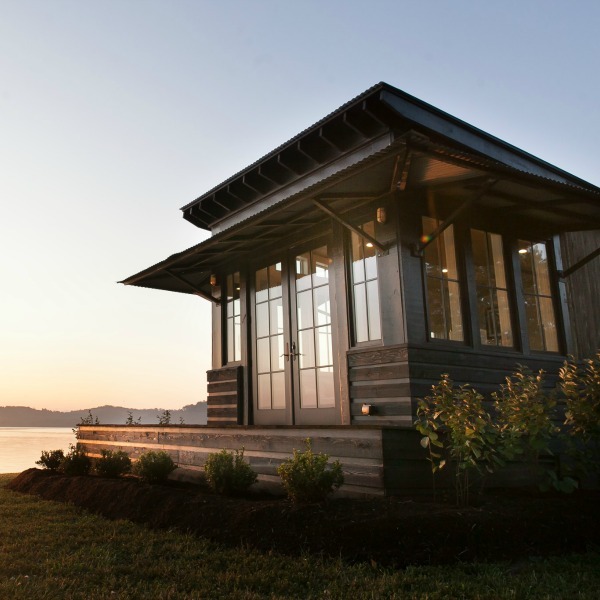 House Tour: A Tiny House in Tennessee by Jeffrey Dungan…certainly lovely indeed! 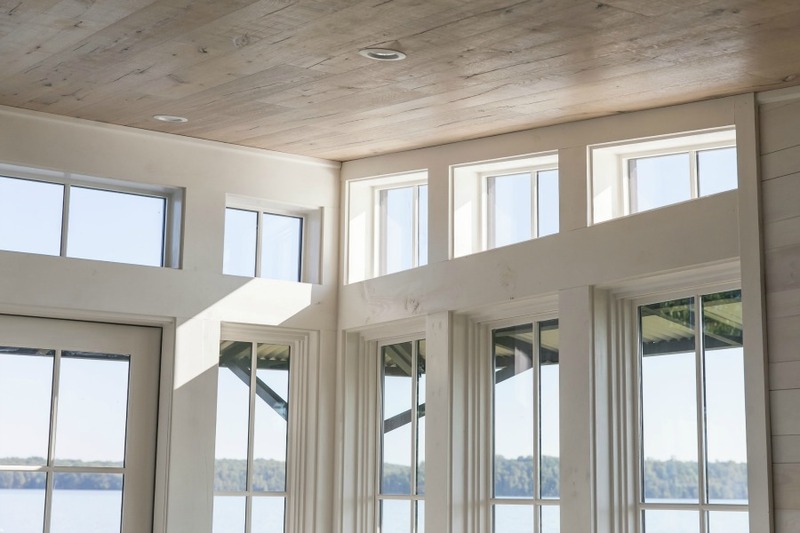 Breathtaking luxury as well as simple charm in a Saltbox style home designed for high style tiny house living. 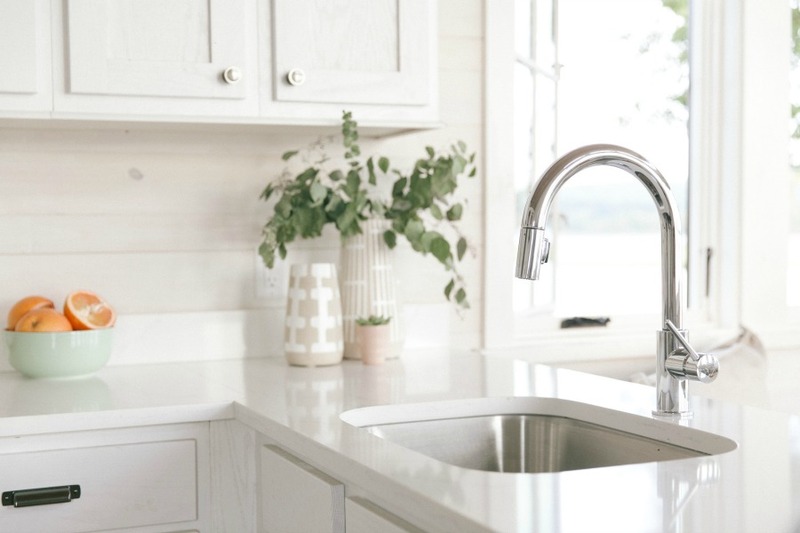 High-end finishes and quality materials. Photo: Retreat by Oakstone. Saltbox Designer Cottage Design: Jeffrey Dungan. 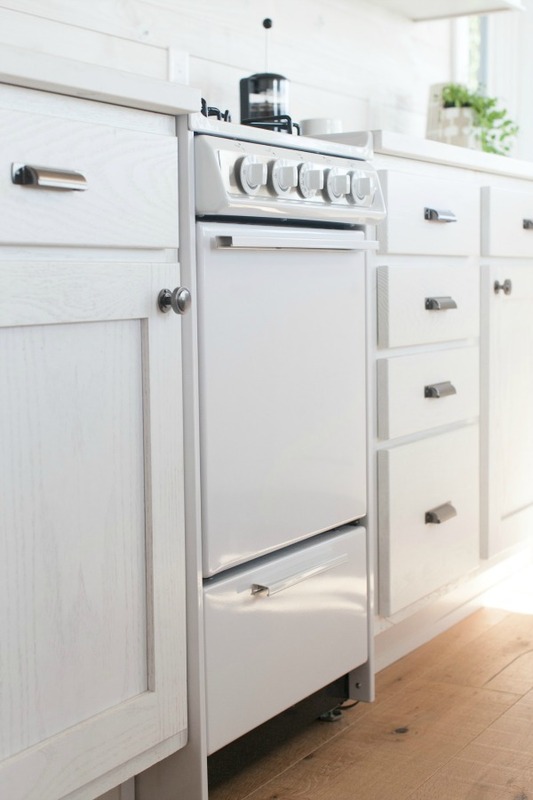 A rustic yet elegant kitchen in the saltbox designer cottage. Photo: Retreat by Oakstone. Saltbox Designer Cottage Design: Jeffrey Dungan. Photo: Retreat by Oakstone. Saltbox Designer Cottage Design: Jeffrey Dungan. 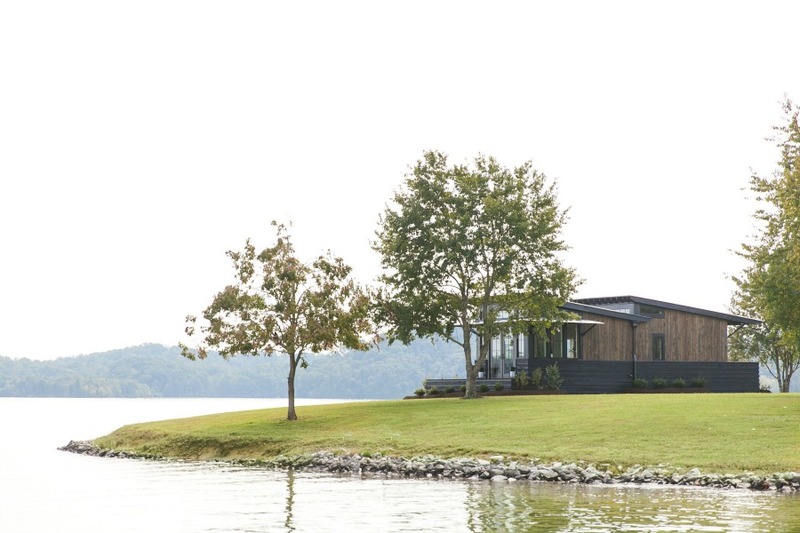 House Tour: A Tiny House in Tennessee by Jeffrey Dungan…certainly lovely indeed! Breathtaking luxury as well as simple charm in a Saltbox style home designed for high style tiny house living. How’s that for a tucked in frig? Photo: Retreat by Oakstone. Saltbox Designer Cottage Design: Jeffrey Dungan. 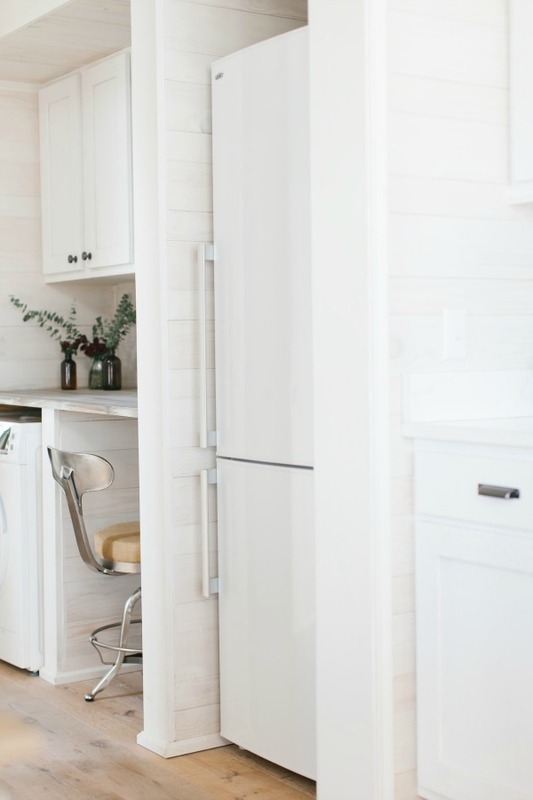 Beautiful finishes in this saltbox tiny home’s kitchen. Photo: Retreat by Oakstone. Saltbox Designer Cottage Design: Jeffrey Dungan. 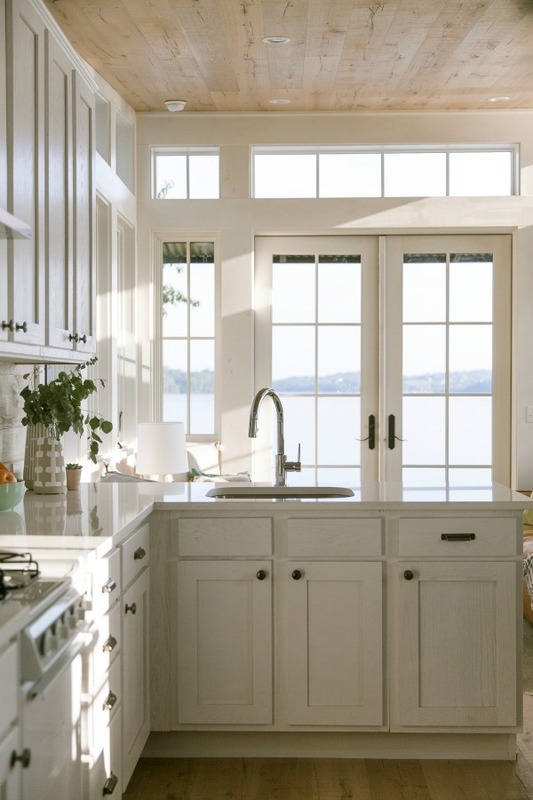 Airy and serene tiny house kitchen. Photo: Retreat by Oakstone. Saltbox Designer Cottage Design: Jeffrey Dungan. 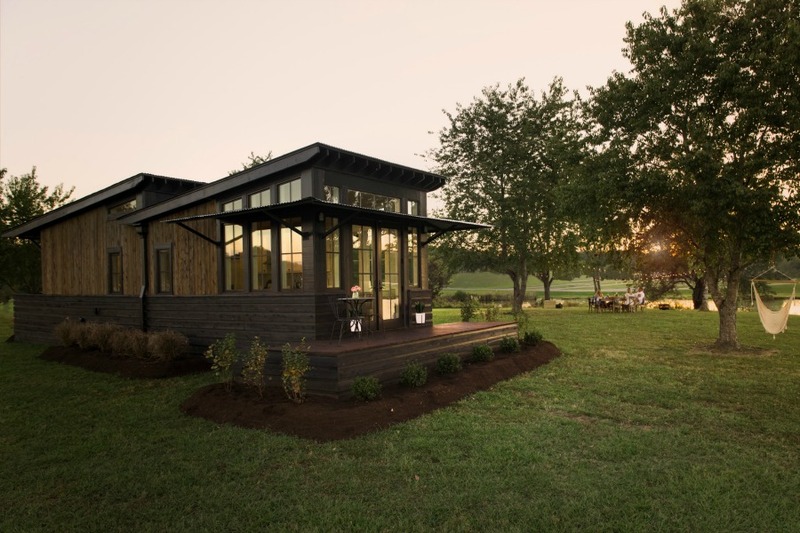 House Tour: A Tiny House in Tennessee by Jeffrey Dungan…certainly lovely indeed! Breathtaking luxury as well as simple charm in a Saltbox style home designed for high style tiny house living. Room for dining in a tiny house living space. Photo: Retreat by Oakstone. Saltbox Designer Cottage Design: Jeffrey Dungan. 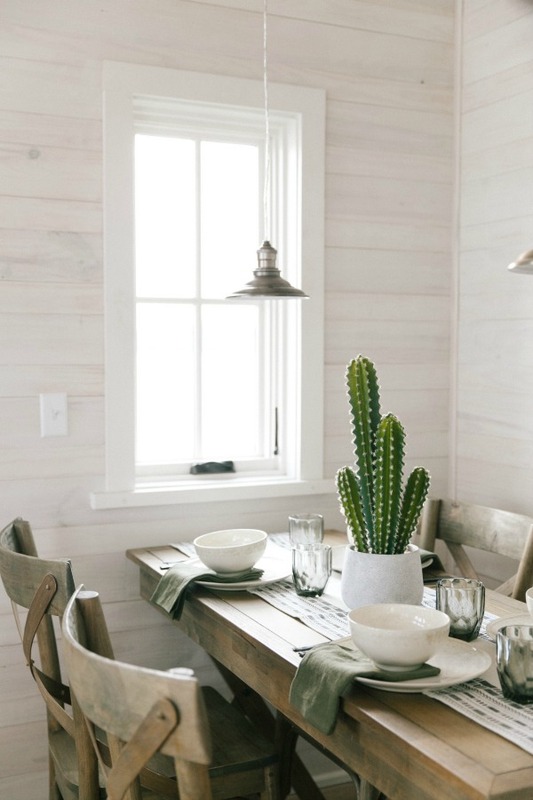 Cozy and pleasant dining area in saltbox tiny house. Photo: Retreat by Oakstone. Saltbox Designer Cottage Design: Jeffrey Dungan. A true retreat of a bedroom in a tiny home. Photo: Retreat by Oakstone. Saltbox Designer Cottage Design: Jeffrey Dungan. 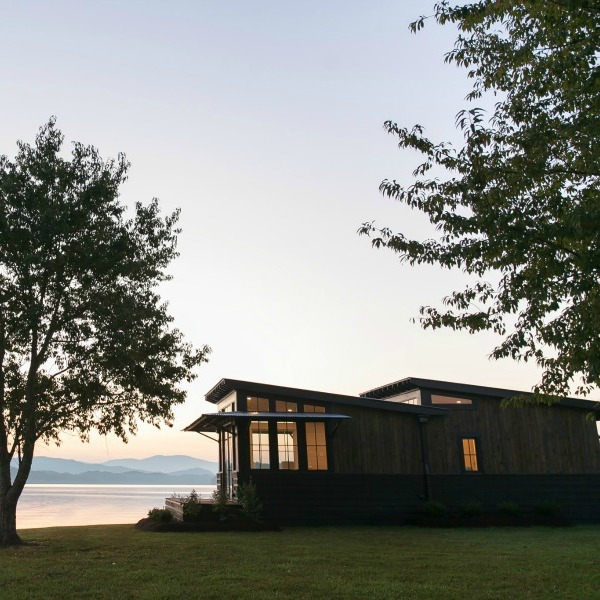 House Tour: A Tiny House in Tennessee by Jeffrey Dungan…certainly lovely indeed! 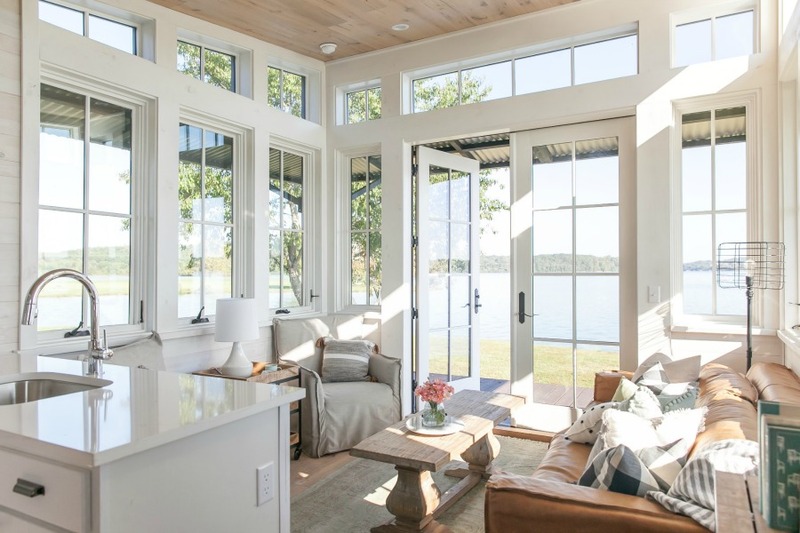 Breathtaking luxury as well as simple charm in a Saltbox style home designed for high style tiny house living. 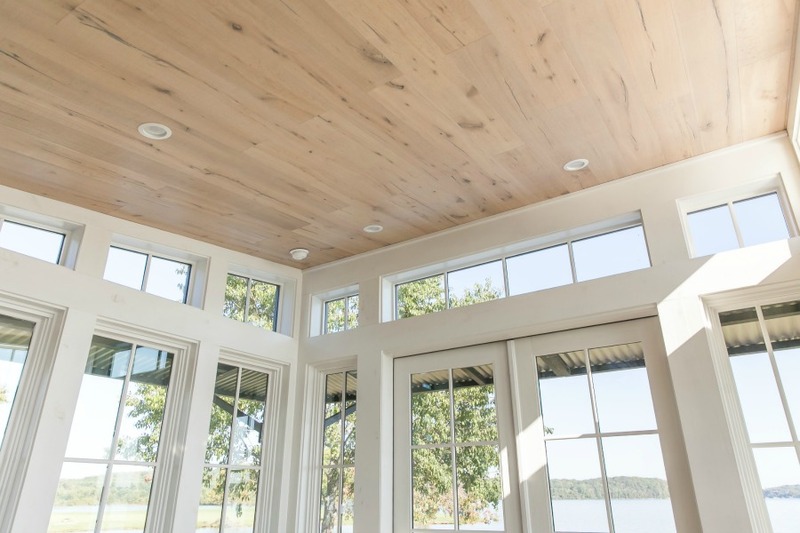 High quality construction materials include premium cedar shake shingles, poplar bark siding, horizontal board and batten, tongue and groove 7″ oak hardwood flooring, tongue and groove pine ceiling, and quartz countertops. Photo: Retreat by Oakstone. Saltbox Designer Cottage Design: Jeffrey Dungan. 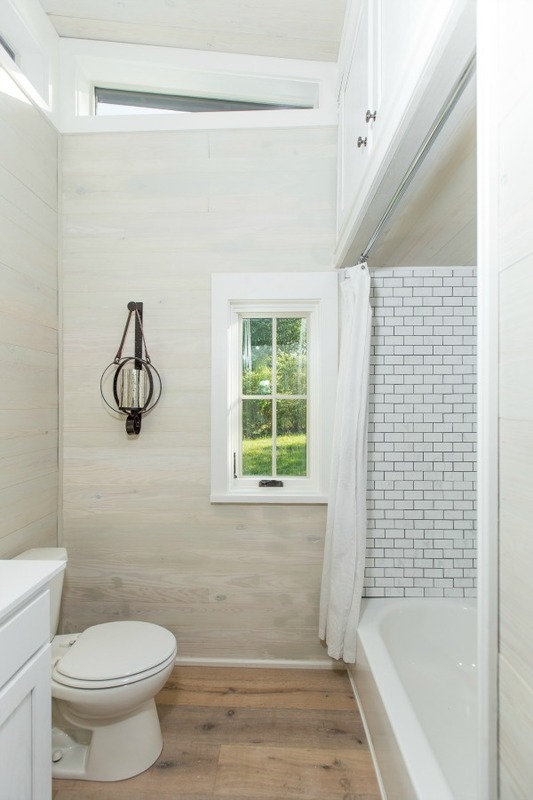 Inspiring bathroom design in a tiny home. Photo: Retreat by Oakstone. Saltbox Designer Cottage Design: Jeffrey Dungan. Charming living area. Photo: Retreat by Oakstone. Saltbox Designer Cottage Design: Jeffrey Dungan. 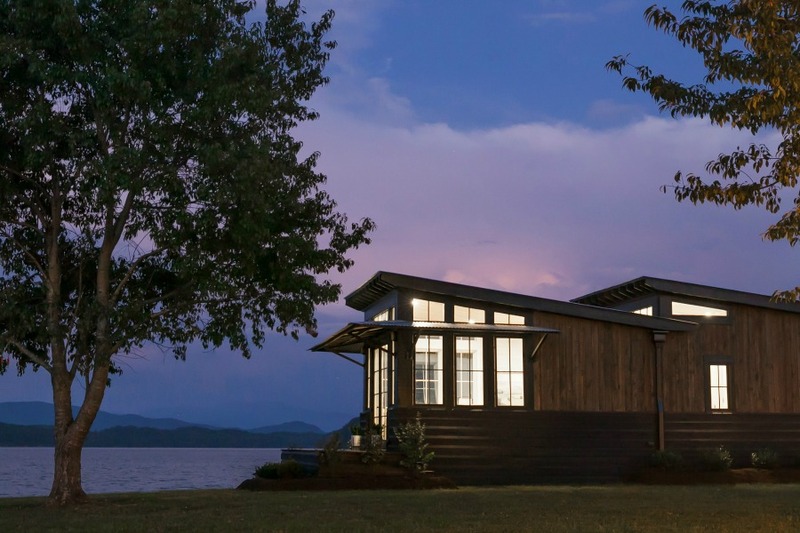 House Tour: A Tiny House in Tennessee by Jeffrey Dungan…certainly lovely indeed! 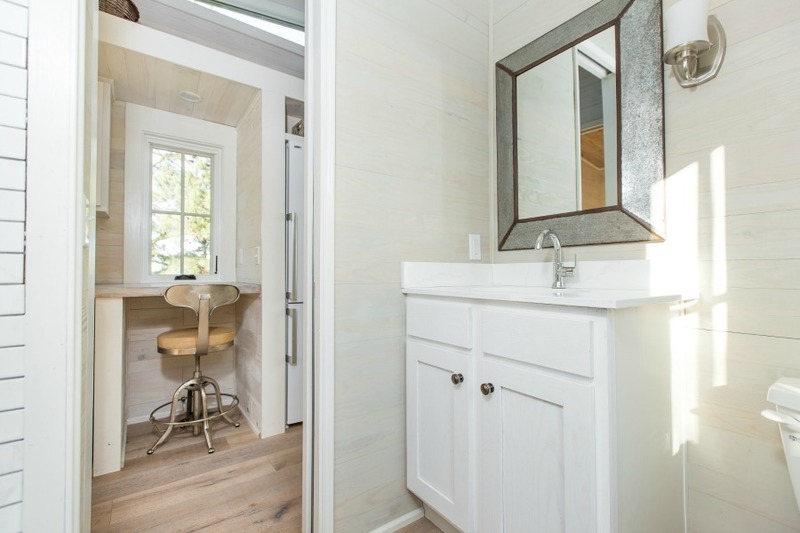 Breathtaking luxury as well as simple charm in a Saltbox style home designed for high style tiny house living. 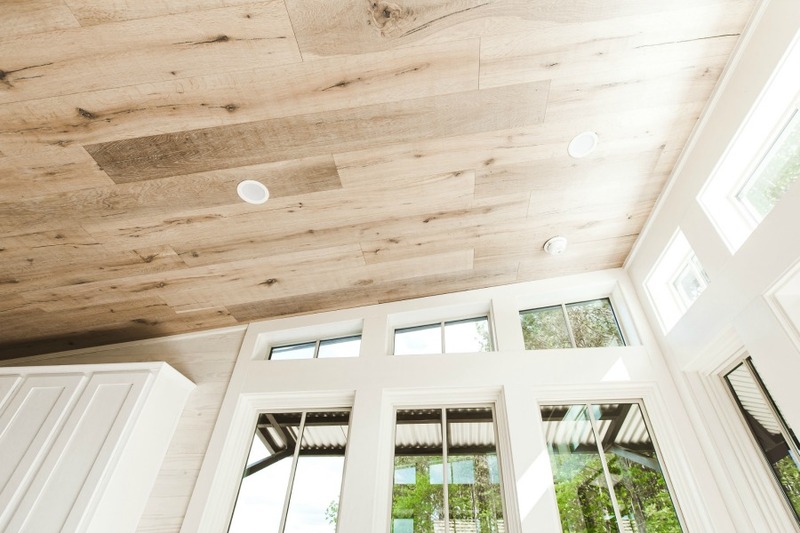 Pine ceilings in a spectacular tiny house. Photo: Retreat by Oakstone. Saltbox Designer Cottage Design: Jeffrey Dungan. 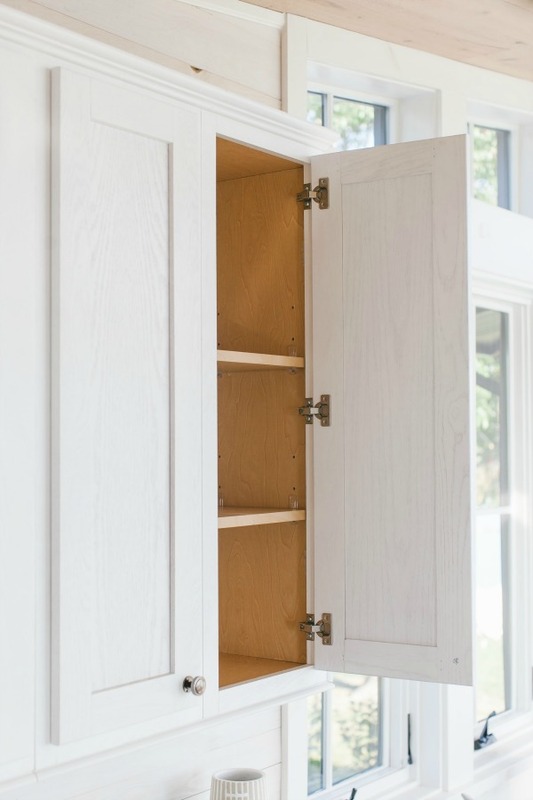 Can you believe the quality and craftsmanship devoted to the design of small house living happening all over the world? 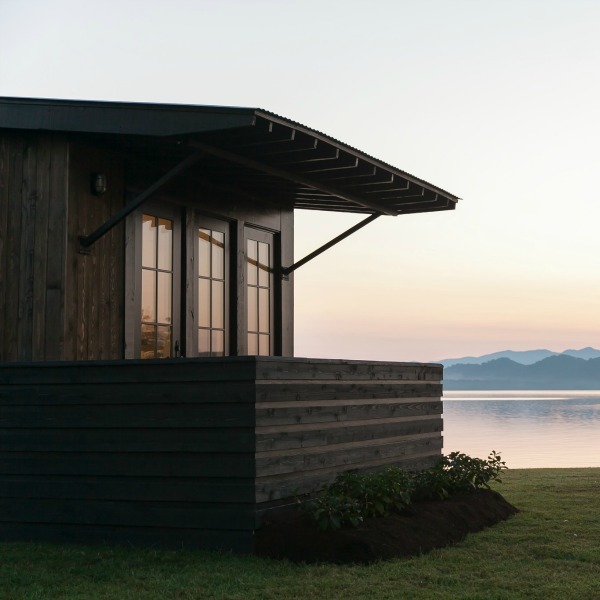 The tiny home phenomenon has so much diversity and encompasses so much vast creativity. A Sweet Tiny House Custom Built With a Small School Bus for a Family! What style would your own custom tiny house be? 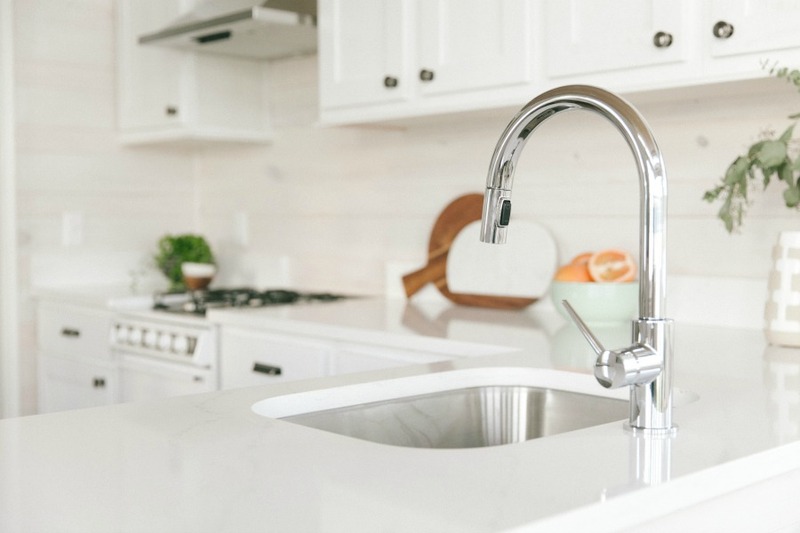 Isn’t it fun imagining even if you have no plans to downsize? It brings back such fond memories for me of fort building and creating magical cozy teepee moments in childhood! visit HERE for particulars about The Retreat by Oakstone and more details about what you see here. Previous Post Fall for an Amazing One Bedroom Wonder Home! Next Post When Life Gives You Lemons, Make Limoncello! Love this tiny saltbox! Not exactly what I think of when I see the term saltbox, but this is a great design. I really like the ceilings and the charm of the interior too. It may be a bit cozy for two but perfect for one! Right? It’s sort of a box that slopes upward so there you go! I’m not cut out for tiny on a permanent basis, but I like the idea of vacationing in one! The tiny Salt Box is a charming little place. If a house, with that square footage, allowed me to live by and look at the water every day, perhaps it could work. The school bus house…with a family? As a mother, I would not play along. We downsized to 1800 sq ft from over 3000 upon retirement. I love my custom built home! 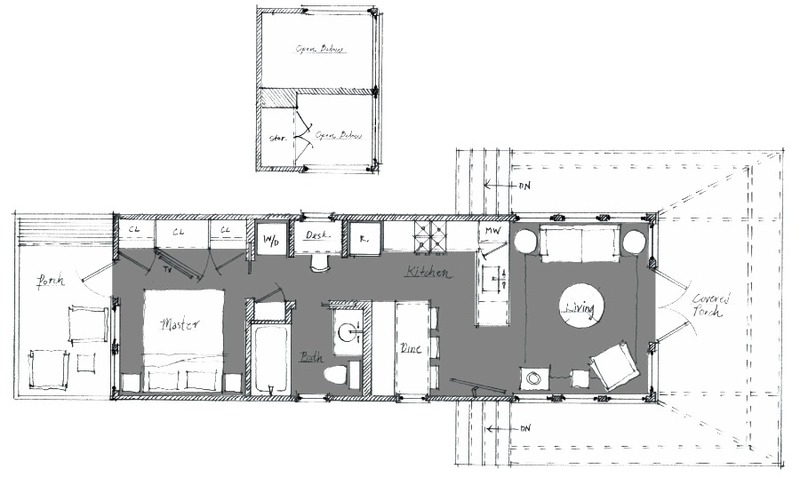 It is perfect for two, with two extra bedrooms for guests, while not being overly large for two to live comfortably. For some reason, I am fascinated with tiny homes. Had a lovely day, out on the boat, celebrating a friend’s 60th birthday. The sun is shining, the winds calm and the wine is plenty. We are truly blessed! That’s what I was thinking too – if that saltbox is anywhere near Oahu’s North Shore – I’m in. So many of us love tiny homes even if they aren’t a good fit for us! Ha! Your day sounds lovely, and as the thunder rolls here (oy! ), it is good to hear of sunny skies!